Lighting Tip: Replacing your incandescents and halogen bulbs with LEDs will save you money in the long run. 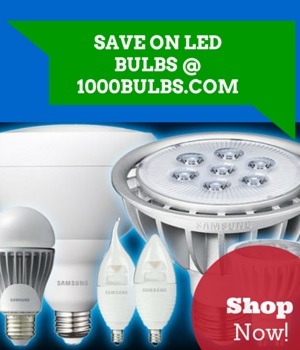 The money you spend to power a 60-Watt incandescent bulb for the maximum 2,000-hour lifespan could pay the initial cost of purchasing an energy-saving LED. Depending on when your car was made, your headlights are commonly one of three types: filament-based halogen lights, blue-tinged high intensity discharge (HID) or Xenon lights, or more recently, the crisp, bright light of LEDs. Halogen headlights may last 450 to 1,000 hours while HID lights average 2,000 to 3,000 hours. With such a lengthy lifespan, which translates to about 90,000 miles of usage, JD Power considers HID headlights a "lifetime" bulb that never needs to be replaced. LED headlights are fairly new to the auto industry and not much is known about their lifespan, except they can outlast the most efficient HID light. Regardless of which headlight you have, all of them are susceptible to heat. Excessive heat around a headlight can shorten the expected life hours. Halogen and HID headlights create large amounts of heat along with their light output. The heat of an LED headlight comes from its components, mainly the integrated driver, which is dissipated by a heat sink. If the heat sink fails to keep your headlight cool, then you won’t be driving anywhere at night. Many indoor gardeners know that their grow lights depreciate or output less light over time, which can lessen your maximum crop yields and lengthen growing cycles. But whether you’re a budding hobbyist or a professional grower, determining when your lights need to be replaced requires a bit of forethought. Whether you’re using a metal halide (MH), high pressure sodium (HPS), or T5 fluorescent grow light, your lights will eventually dim due to external heat, the massive startup voltage from the ballast, or just standard wear and tear due to aging. To keep your crops consistently lush, you should replace your grow lights when the light output degradation is at 70 to 75%. In order to know what that magical number is, you will need a light meter to measure the light output of the bulb the very first time you turn it on. In subsequent months, you should continue to measure your bulb’s light output until it is down to half of your first measurement. With your newfound lighting knowledge, go forth and replace bulbs with confidence! You can also ask more questions, leave a helpful tip, or make a suggestion in the comment area below. Find the latest in lighting news and ideas on our Facebook, Twitter, Google Plus, LinkedIn, or Pinterest.